Little known Pasadena Glen is one of the beauty spots of the San Gabriel Mountains. It is a steep and shaded canyon just north of Eaton Canyon Golf Course at the edge of the Angeles National Forest in an unincorporated area of Los Angeles County. Famed naturalist John Burroughs spent several winters there. Its 61 homeowners cherish their rustic lifestyle but living in a narrow canyon with mountains looming overhead has its drawbacks. Time and again fire or flood have destroyed many of their homes. Most recently 28 homes were destroyed in the fire of 1993. Some have been rebuilt while others remain piles of rubble. 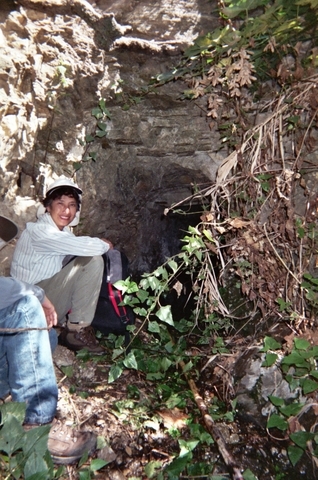 The reason for my November 2004 trip with several companions was to investigate its reported water tunnels. 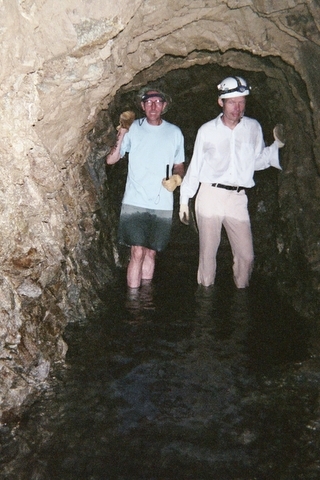 Many such tunnels were dug in the foothills of Pasadena and Altadena starting in the 1880’s. Tunnels were no more expensive than wells, had a greater chance of reaching water and did not require windmills to pump the water out. At the end of the half-mile paved road we reached the head of the canyon. Signs advised us that we were now entering the Angeles National Forest and the Kinneloa Irrigation District, a small neighborhood water company with 550 customers which obtains about 20% of its water from these tunnels. 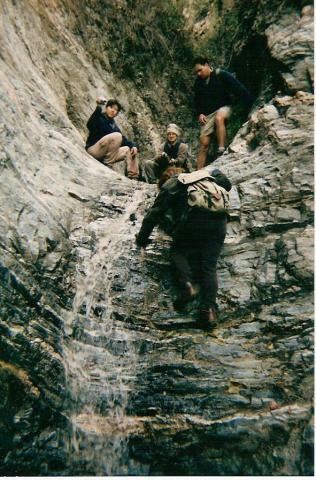 We soon encountered a narrow 17-foot crack 15-feet up the canyon wall through which water gushed. Below the opening were two tunnels with water pipes protruding but both were clogged a few feet in. With the aid of a collapsible aluminum ladder and rope we were able to climb the numerous dry falls with a minimum of difficulty. After proceeding about a quarter of a mile we reached a larger tunnel with pipes leading out. The tunnel started out as about 3 1/2 feet high with several inches of water. 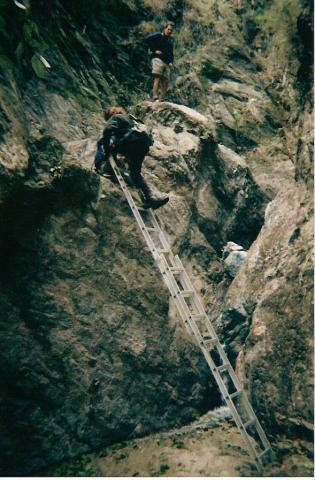 However after about 250 feet the tunnel increased to walking height and the floor became dry. 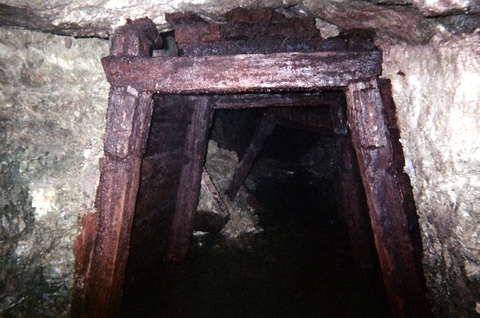 Ore cart rails now appeared. The tunnel continued in this fashion for about another 250 feet where it ended. After exiting the tunnel we continued up canyon a ways past several more dry falls but saw no more tunnels. I later learned that the tunnel is called the “Dolores” and was dug about 1915 by the Vosburg Water Company which consisted of the five largest landowners in the Glen. To view a complete canyon trip Goggle Christopher Brennen’s Adventure Hikes. His trip started up near Henninger Flats and ended after numerous rappels more than 11 hours later down in Pasadena Glen. 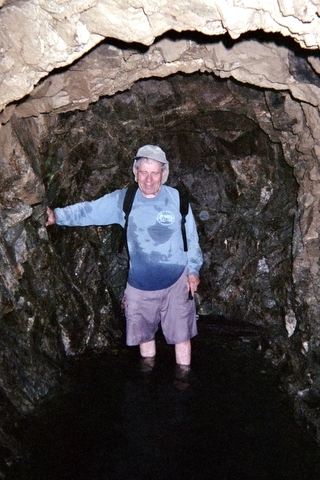 I did not find any indication in the history of the Glen that the tunnels were used for any purpose besides irrigation (unlike the tunnels in nearby Las Flores Canyon which were used for both gold mining and irrigation). My sincere appreciation to local historian Gregory McReynolds whose generous response to my request for information made this article possible. 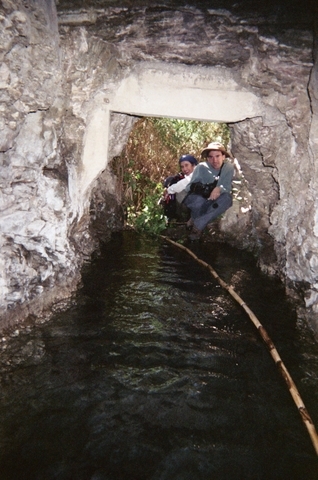 Nearby canyons also have their share of water tunnels. 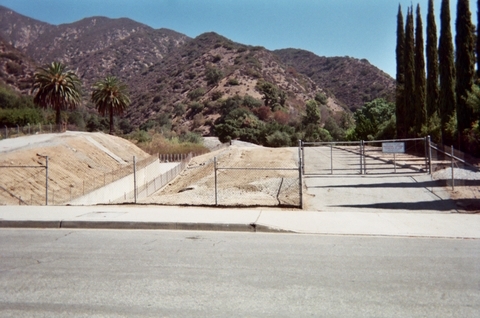 A half mile east of Pasadena Glen is Hastings Canyon. A half mile up this canyon is a long water tunnel, undoubtably dug in conjunction with the opening of Hastings Ranch in 1882. The writer with several companions mapped its length at 520 ft. It is quite wet, with water up to 3ft deep. Our appreciation to Ms. Polly Kinsinger, a former local resident who advised us of the tunnel. Just east of Pasadena Glen Road and several hundred yards north of Shaw Ranch Road in Winifred Canyon is another small water tunnel about 70 feet in length and 2 1/2 feet high (at the entrance). Thanks to Kevin Singleton for leading me to it.